At face value, an online events calendar might seem pretty straightforward: You create events. People find your events. People attend your events. And on and on, forever and ever. But what if your events calendar could do more than that? What if it could actually be a tool to help you drive more traffic to your site? Good news: It can! And today, we’re going to show you how. 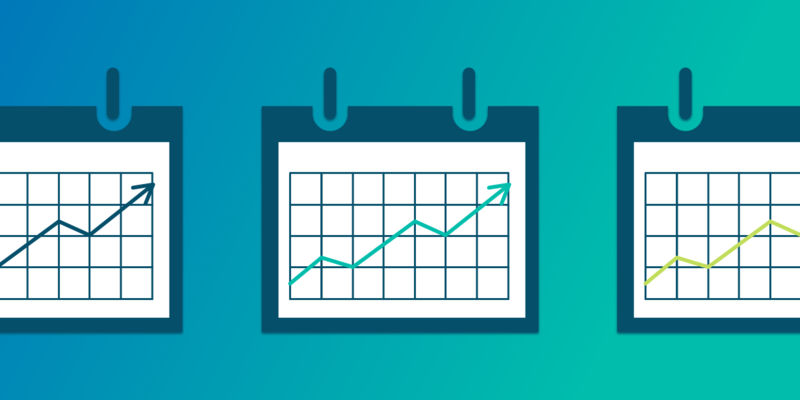 There are a lot of ways an events calendar can perform double duty as a powerful tool for increasing traffic, so let’s dive in and walk through a few of them. If your business targets a niche audience—think puggle owners or unicycling enthusiasts—a website calendar gives you an opportunity to establish authority in that area and ultimately increase your website traffic. Let’s say you host a weekly meet-up for puggle owners or a monthly Google Hangout where unicyclists can talk shop. Adding a calendar to your site will help attendees find the events they want. If your audience is active on social media, linking to your event listings from Facebook, sharing your event listings in groups on LinkedIn, or plugging your events across other networks creates an incentive for people to migrate away from social media and over to the calendar on your site. That means more people visiting your site and possibly clicking around the rest of your content. Pro tip: Amp up your calendar capabilities with a free tool like Event Tickets to sell tickets and collect RSVPs. You can also use a community calendar to crowdsource events from your audience, which can not only give you a nice bump in traffic but will also establish your site as the undisputed hotspot for people seeking events in your niche. Adding an events calendar to your site opens up a whole new world of SEO opportunities, which can ultimately boost the traffic you get from search results. If you already have an SEO strategy in place, think of your event listings as an extension of your existing practice. You can optimize your event URLs, image file names, and image alt text by highlighting your target keywords. The titles, descriptions, and metadata for each event provide even more opportunities to feature your keywords and improve your ranking in search results. Even if you don’t host many (or any) of your own events, creating a website calendar that aggregates other people’s events is a great way to drive traffic and build relationships. Let’s say you’re a parenting blogger. You don’t host events of your own, but you have a calendar on your site that contains lots of listings for children’s events in your community, like weekly story time at the local library or a mom-and-me ceramics class at an art studio. Here’s where the traffic boost comes into play. By linking back to the library and the art studio and sharing their events, there’s a good chance that, in turn, they’ll share a link back to your site. This gets you in front of their audience and ultimately drives more traffic—and eyeballs—to your blog. It’s a win for them and a win for you! If you run a self-hosted WordPress site, use a plugin like The Events Calendar to create your own custom calendar that’s easy for you to manage and intuitive for your visitors to navigate. If you need any extra bells and whistles, like recurring events or map view, you can upgrade to Events Calendar PRO. No matter where your site is hosted—Squarespace, Wix, WordPress.com, you name it—Loxi is a super-easy tool that lets you quickly create a slick, customizable calendar that can be embedded anywhere on your site. No coding experience necessary! For a bare-bones solution that works on any site, simply embed a Google Calendar on your website. These are just a few ways an events calendar can help you increase traffic—after your calendar is up and running, you may discover even more!